2015+ Yamaha R1 - R1M Versus The Competition Ask questions of Yamaha R1 Forum members about what the Yamaha YZF-R1 - R1M is like versus its competition. A great place for new motorcycle buyers to find out more about the Yamaha R1M. Yamaha R1 Forum: YZF-R1 Forums > 2015+ Yamaha R1 - R1M Forum > 2015+ Yamaha R1 - R1M Versus The Competition > 2016 ZX10R vs. 2016 R1? 2016 ZX10R vs. 2016 R1? Anyone have an experience with the new 2016 ZX10R? Anyone have any buddies with one? Have you had a chance to compare the two in terms of features and straight line acceleration? For an unbiased opinion: Chris Ulrich, Road Racing World Magazine but i haven't seen his 2016 ZX10 review yet. His ZX10r review is in the March issue of RRWM. Thanks. I'll see if I can find it. 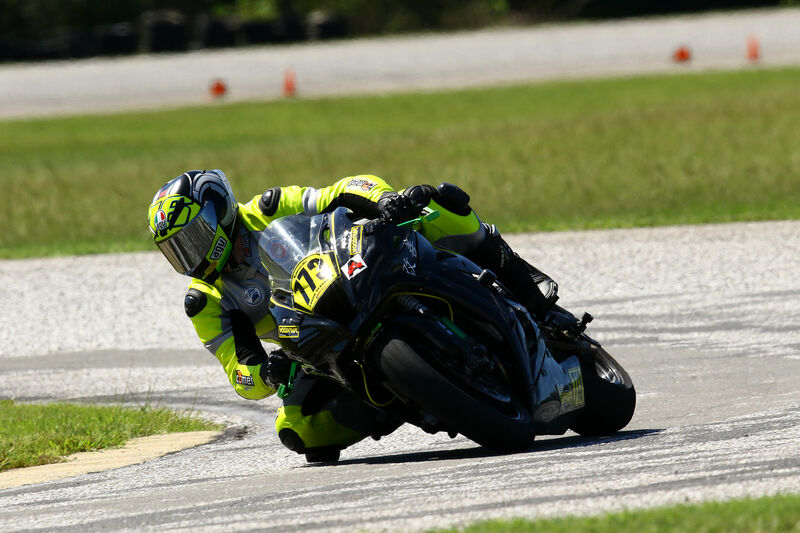 It seems around the paddocks here that the ZX10R is becoming the winners' bike of choice in the club racing scene. It just has so much out of the box. The electronics have been refined to the point that the software of the Kawi might have one-upped the R1. The gas-charged forks are a bling item that apparently provides more consistent suspension performance. And the Brembo front MC has a great lever feel. Far better than the R1. And production legal. The swingarm has been lengthened and reinforced for more rigidity. I have a buddy who is beginning his setup/shakedown on this beast. Without riding it, I think it seems like a formidable package especially in race trim. The R1 might get the edge for street riders and perhaps some racers for its chassis. I still would prefer to ride the Yamaha, but knowing that Kawi always spits out tons of power, it might be stealing the R1 shine. Thanks @Bhob ; Here is Chris Ulrich's review of the 2016 ZX10r. Well after weeks of wrestling with which bike to get, my buddy just picked up a black ABS ZX-10R yesterday and wants to sell it. His biggest complaints were no storage area for hat, etc. and no helmet holders. He's a good rider but doesn't track anymore. Evidently bought the wrong bike. It's got 41 miles on it, and he wants $13.5K if anybody is looking for a good second bike. Yea, I don't get it either. Quite a shock, to say the least Everything I've read suggests it's a great bike. Last edited by Obijack; 05-12-2016 at 05:12 AM. Yea I think that's him alright since he owns a Kevlar 38' Formula boat. Tragic! He still has a mint '03 GSXR1000 he bought new and I think maybe that bike (we call it the "dino") sets the bar pretty high. I've ridden it, it's a great bike for sure. But nobody can get by with just one bike, right? Last edited by Kevap; 06-06-2016 at 08:49 AM. Thanks! It seems the only complaint they have with the ZX10R is the Euro 4 emission equipment. Apparently that is the only bike in the test to be equipped with it. However, all those bikes will have the same in 2017. I am just gonna have to find one to race with the 15 R1 lol. doesn't really matter on the street though. stock straight line acceleration is on par with the R1 stock. full bolt ons gen 5 zx10r will outrun a full bolt ons r1 though. "A true dork: "can't even put a baseball cap under the seat"! Beat it and enjoy your Suzuki." This was a reply from a kawi member, Kawi guys are ok in my books. Quality Parts at Great Prices! I think the ZX10 look really good, but I like the R1 's looks more. We put a Graves cat-elim (and removed the McDonald's sticker), Graves FTECU flash, block off plates and Graves Autoblip, on the 2016 ZX10. Body part fit and finish is low. The ECU isn't even bolted down, it just floats in the tail. The bike however is very comfortable to ride. That BFF fork is incredible. Not sure how it can do it all, but it does. Brakes are powerful. With only 400 miles on the Kawolski, we couldn't go flat out, but the ZX10 was brilliant on a few of my favorite curvey streets. Performance parts are literally half the cost of my Yamaha parts. If the ZX came in colors other than matt black or green, I wouldn't mind owning one at all. Still an inline 4 though, and I've become quite addicted to the cross plane crank howling. The sound reminds me of my old Ducati 1098S. Last edited by elevens; 06-12-2016 at 04:29 AM. I just came off a 2016 ZX-10R a week ago, and on to my 2016 R1. My ZX-10 had a Graves 3/4 system and ECU flash, and had the front and rear sag set. All stock otherwise. It was a great bike and I really liked it, particularly the Showa gas charged BFF fork and the smooth engine. So the obvious question, why did I sell it? One word only, ergonomics.. Im 6'2 and 190 pounds and no matter what I tried to do I always felt a little cramped, the pegs were too high and forward, and the clip ons felt way too close.. The riding position didn't allow me to move around as much as I like to on the bike. Its just a bike made for a smaller rider. If it wasn't for this issue I probably would have kept the ZX-10. The R1 feels like a smaller bike but with a much roomier cockpit that allows me to move like I need to. bacchus40, APO2112 and Masao Furusawa like this. Neither bike is perfect but are the closest thing to perfection; you have to pick the features that are more important to you. The Kawi's front end is clearly the winner while the R1's engine character and agility are its strong points. If you haven't test ridden both, I suggest you do so because this will be an easier decision once you take both for a ride and see how you feel when you get off. I have a 2016 ZX10R that I currently have in track only setup and will be racing Superstock next year. One thing about the ZX R1 is the fact that they are the most opposite bikes on the grid. The ZX makes a lap time from high corner speeds and blistering topend but you need to keep it up on the power, otherwise it's a bit of a dog. The R1 is a point and shoot bike and is a MONSTER off the apex. From a racers perspective, the best bike on the grid is the one that is easiest to up to a winning pace. Kawasaki has the BEST supported bike on the grid. You can't beat the Kawasaki Race ECU setup. Nothing comes close. These bikes make over 200hp with a slipon, decat and a tune on race fuel. The electronics are better in stock form. The R1 has more adjust-ability between the electronic settings but as a whole, the stock system is more intrusive or abrupt than the ZX. I've pulled a 150+ mph wheelie on my Kawasaki and the anti wheel was soooo smooth that I never felt a loss in acceleration. So it boils down to what type of (track) rider are you? Do you like high lean/high cornerspeed with a manic topend or do you want a beast off the apex that will get you from apex to apex with the most excitement? Personally, I want the best racebike to compete. The R1 is too wild for my style of riding. I don't understand how to use the aggression of my '09 to make a decent lap time but my ZX10R is like a perfect fit for my temperament. It's truly an extension of my mentality. His biggest complaints were no storage area for hat, etc. and no helmet holders. Maybe he should have just gotten a Spyder.